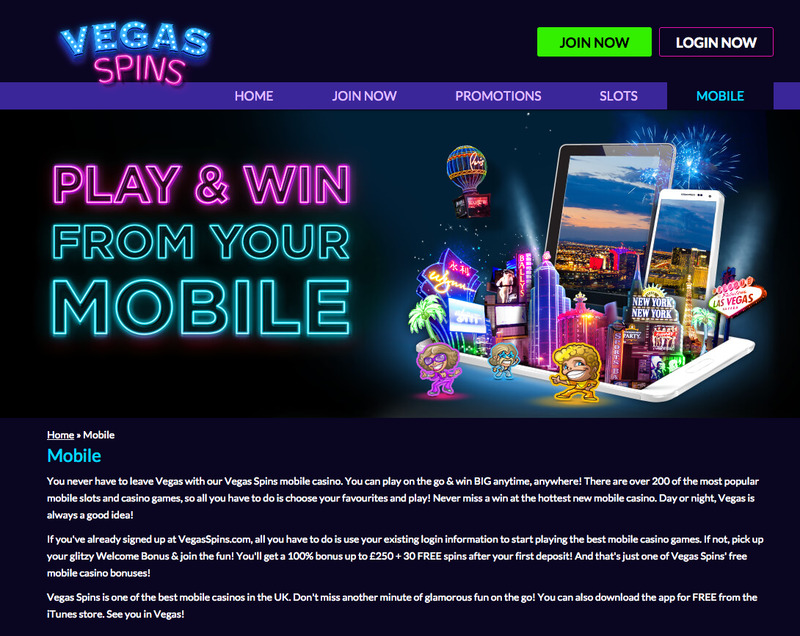 Committing to a theme that is truly the most overused in the world of online casino sites, Vegas Spins does not bring a strong sense of originality upon your first visit. Relentless bright neon lights greet you at every turn, making this not a site for those who prefer a subtle design concept. However, maybe this theme is a cliché for a reason, and maybe it is because it is what the people want. If you are someone who loves a neon Vegas theme, then Vegas Spins is, well, another one for you to add to the endless list of possibilities. However, design may be the first thing you notice for a casino site, but it is perhaps not the most important. If a site offers good promotions and a strong choice of games, you can forgive a predictable theme. So does Vegas Spins have enough to bring to the table for the basic and uninspired design concept to not be a problem? With a name like Vegas Spins, you can safely assume that slots would be the main focus in terms of games here, and you would not be wrong in this assumption. However, slots are not all you will find here, there is a token attempt to puffer casino games. Perhaps not of interest to the regular casino player, but enough to provide a break between slots play. Poker (including video poker), roulette, baccarat, keno, and scratch card games are just some of the other games on offer. But when it comes to a slots focused site, it’s the slots that matter, and Vegas Spins has them in heaps. Classics such as Starburst, Cleopatra, and Gonzo’s Quest are all here for those who like to stick to what they know. For those who like something new, there is a seemingly never-ending collection of slots to choose from here, each offering something different. After a while of clicking the ‘for more slots’ button on the games page, you start to realise that you would struggle to get through every single slot on offer here, there truly is something for everybody. Not a breathtaking site in terms of theme, but decent promotions and an impressive selection of slots makes Vegas Spins a must visit for slots fans.